The left ovary still had small eggs, but the right ovary had two bigger eggs! The USG result was a good sign, and the Utrogestan was given to make them even bigger. The doctor then gave us some possible ovulation dates to try to get me pregnant, and asked us to go back to see him the next month to check if we were successful. It was a happy moment! Hope, at last! But, maybe not. The next month, in February 2013, I got the usual menstruation and I went to see the doctor. As if the disappointment of failure was not enough, the transvaginal USG showed us something else: I developed a chocolate cyst. Yeah, that's a real cyst. And it's chocolate, too. 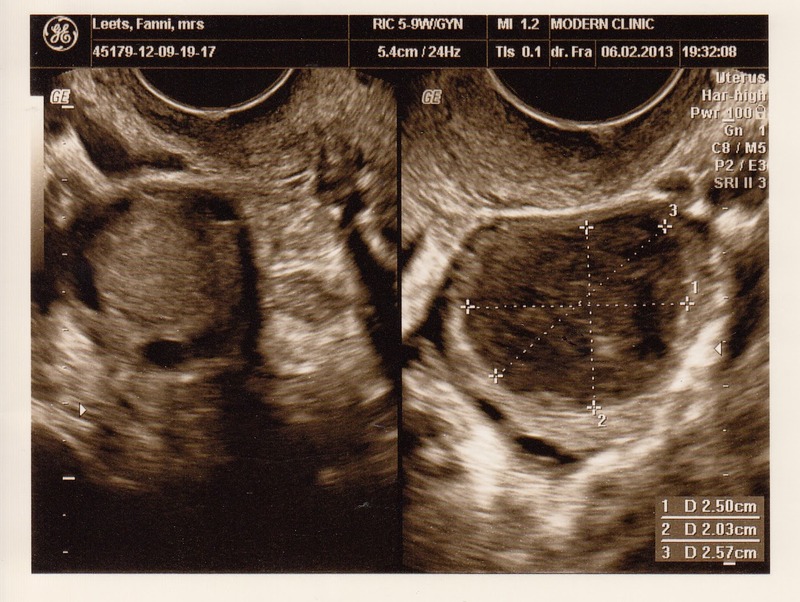 You can see the cyst in the right ovary, and its inside was not clear liquid, which was a bad sign. 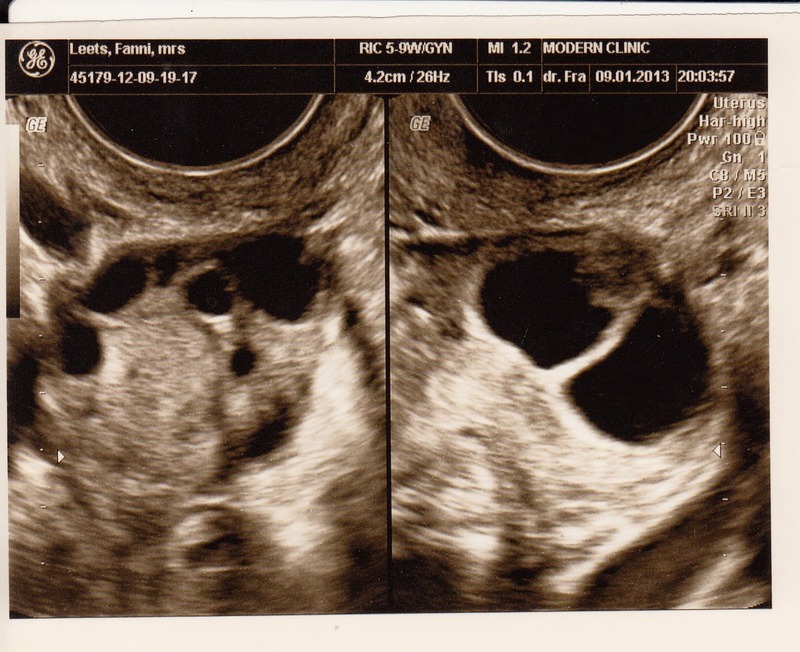 It is called chocolate cyst and although the diameter is only about 2.5 cm, the doctor suggested to have it removed because it distracted my TTC program, and it's just not healthy to have that kind of ovary cyst. The removal procedure is called laparoscopy, and we checked the cost. It was a hefty 20 million rupiahs, at least. Naturally, we searched for a second and third opinion, but that's another story. In short, I didn't do the surgery because it wasn't the only way. I kept on taking some medicine for a couple of months, went to a very nice lady, who lived so far away, for acupuncture treatments, and also drank lots and lots of Chinese herbal medicine. Fast forward one year to March 2014, I still had the chocolate cyst. And I was still barren with little eggs. And I was fed up with going to the doctor or taking Metformin--which gave me nausea, everyday. I was exhausted.